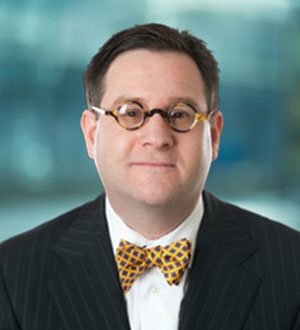 Randy Maniloff concentrates his practice in the representation of insurers in coverage disputes over primary and excess obligations under a host of policies, including commercial general liability, various professional liability, liquor liability and policies covering Indian Tribes. Randy has significant experience in coverage matters involving construction defects, including additional insured and contractual indemnity issues. Randy previously spent seven years as a White and Williams Partner and transitioned to Counsel as he pursues certain insurance writing projects. He still maintains a full-time insurance coverage practice at the firm. Randy is a frequent lecturer at industry seminars and has been quoted on insurance coverage topics by such media as The Wall Street Journal, The New York Times, USA Today, Dow Jones Newswires, Associated Press, The Philadelphia Inquirer and Forbes. He has published several Op-Eds in The Wall Street Journal addressing legal issues. Randy is a frequent contributor of articles to numerous insurance publications, addressing a variety of insurance coverage topics. For the past sixteen years, Randy has published a year-end article that addresses the ten most significant insurance coverage decisions of that year. Randy serves as one of three Deans of the White and Williams Coverage College - an annual event that brings together 500 insurance professionals from across the country, representing approximately 150 companies, for an intensive day-long curriculum of insurance coverage education. Before entering private practice, Randy spent four years working overseas as counsel to a Gibraltar-based insurance company conducting business primarily in the United Kingdom. In October 2014, Randy was elected as a member of the American Law Institute, the leading independent organization in the United States producing scholarly work to clarify, modernize and otherwise improve the law. At that time Randy was one of three new members from Pennsylvania, along with a federal judge and Pennsylvania Supreme Court Justice. Since 2009, Randy has been named by U.S. News and World Report / Best Lawyers as a "Best Lawyer" in the area of Insurance Law. Since 2006, Randy was selected in a survey of his peers as a Pennsylvania "Super Lawyer" by Super Lawyers. Randy has also been a finalist for LexisNexis’s national Insurer Attorney of the Year.